Japanese fashion brand Uniqlo has launched a new interactive site to promote Uniqlo Collection 2009, www.uniqlo.com/collection. 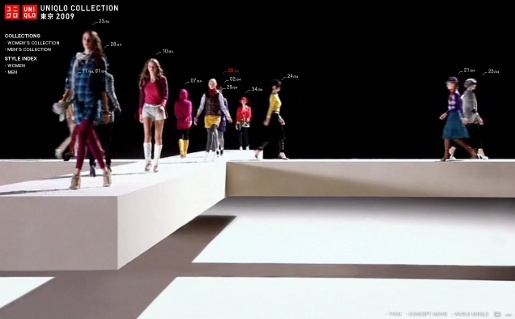 The site features an interactive cross-shaped runway on which viewers can explore the clothing range worn by models from around the world. The Uniqlo Collection 2009 fashion show was broadcast live on September 5 and is featured in a television commercial featuring 24 year old Japanese actor Matsuyama Kenichi.